Got Her Scene Machine Digital To Enhance Her Creativity And Be Clearly Different. This Could Be You! Ginette Hannan is a most unlikely candidate to buy a virtual projected background Scene Machine. She is a relative newcomer to professional photography and never got formal training in photography. She has a full time career job. She is a grandmother 8 times. She lives in Canada where because of the high US dollar, she has to spend 25% more for the Scene Machine system PLUS pay heavy Canadian import taxes. But she did not want to be just like every other shooter. She wanted to distinguish her work from all others and she set her sights on a virtual background system to enable her to do things no one else could do. After seeing a demonstration of virtual backgrounds at the WPPI show in 2005, she dreamed about owning a VB system and finally in late 2016 she bought it as she also prepared to retire from her full time job later this year and go into full time photography. Her studio name is “Happy Smiles” located in Fredericton, New Brunswick, Canada. 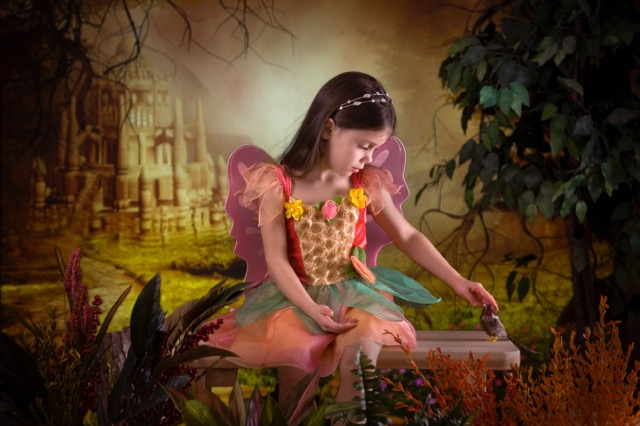 ​After a few initial bumps with lighting and harmonizing the subject with the background, Ginette very quickly caught on, and today her imagination is her only limit. 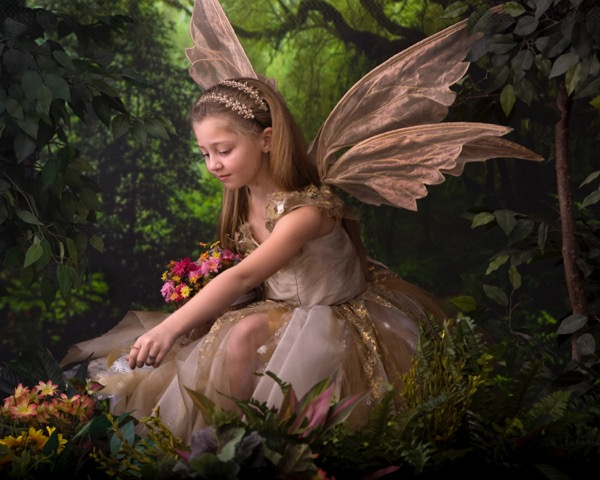 Although she will do all kinds of photography, she is most interested in producing specialty fantasy/whimsical work such as fairy tale and princess photography. She is able to produce very heart appealing results that no parent and even most other professionals can’t begin to do. Her Scene Machine system plays a very important role in providing her with infinite creativity. Ginette’s story is best told by viewing her photographs. She is able to weave in an infinite variety of backgrounds to fit the overall intended “look” of each photograph. As an example, there are a number of oriental people in her area of Canada so she has come up with backgrounds that would especially appeal to their culture. ​​“My studio is very small… I have to back up next to the wall to do full length but I can do it. The Scene Machine makes my little studio bigger because it enables me to do so much with so little space. When I get a bigger location, it will be a piece of cake." Ginette is just scratching the surface of all that she will be doing with her Scene Machine as she comes up with more and more creative ideas that can be successfully marketed to her clients. There is a special feeling that comes with being able to produce product that no one else can do…a product that the public absolutely loves. This is what the Scene Machine projected background system is all about. Why be like every other shooter including every amateur when you can be so different?